Buying washable nappies is a pretty daunting thing, especially when you aren’t 100% sure that the nappy will be right for your child. Unfortunately, we can’t guarantee that a nappy will never leak, so here is a breakdown of problems you might encounter and how you can fix them! Firstly, make sure that your nappy is fastened correctly. Obviously, all children and nappies are different so check with the manufacturers advice first. If you are using one-size nappies, make sure that you have the rise snaps at the appropriate size for your little one. Make sure that the nappy fits nice and snug inside the leg, this will help prevent leaks. It might sound silly, but make sure that the nappy is the right way around, and contains all components. 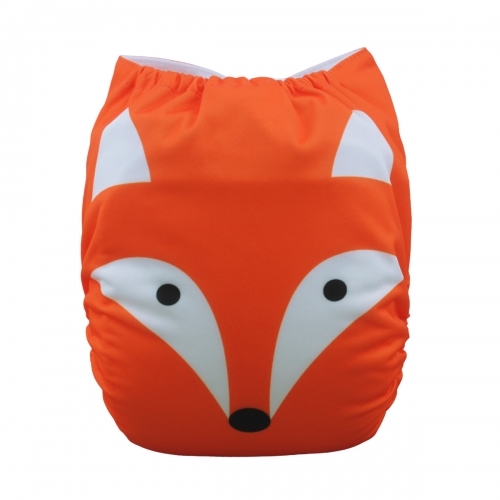 For example, a pocket nappy with the absorbent insert or a fitted nappy with a waterproof wrap. Also make sure that you don’t have any liners or inserts poking out of the leg casing or at the front or back, as this can cause soggy clothes! This one is amazingly common! When using reusable nappies with vests, you may encounter some leaks. This is due to the compression caused from the vest being tight around the nappy. This is particually common in microfibre nappies and/or boosters and you will find that the source of the leak will be around the leg area. Another common cause of compression leaks is babywearing. If the sling or carrier is creating a pressure point on the nappy, you may find that it will leak quite rapidly out of the legs. You will be glad to know that it is very easily solved, by using the next size up vests or every cloth-nappying mums best friend...the Vest Extender! If the nappy leaks and the whole of the nappy is saturated, you may need to add more absorbency. If you are using a nappy that is made from microfibre, you may find that it is not absorbent enough for a heavily wetting child. In this case, it is advisable for you to invest in some boosters. There are many different types on the market, but it will probably be best to opt for a booster made from natural fibres, such as organic cotton, bamboo or hemp. At Fill Your Pants, we love the Little Lamb Bamboo Boosters as they are such a cost effective and reliable product which just flies off of our shelves! 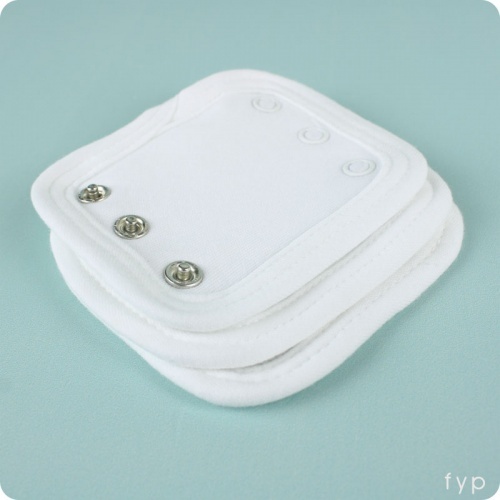 The booster can either be used along side your normal inserts (we recommend placed beneath a microfibre insert) or as an additional layer in your fitted nappy. If you are continually having leaks with your nappies, it may be that you have detergent build up in your nappies, or that fabric softener has been used. When this happens, the nappies become more and more repellant to the fluids, causing leaks. Detergent build up is often easily recognisable not only by nappy leakage, but also an ammonia type smell when the nappy is wet. Build up may occur on inner stay dry linings of the nappy, the absorbent components or both. You can easily check for build up on the stay dry lining by dropping a few drops of warm water onto the fibre to mimic wee. If the water pools and does not soak through instantly then detergent build up is likely. So how do I strip wash? Now that really is a question! There are so many ways to do a strip wash, everyone has their own method, be it using dishwasher tablets or washing up liquid. However, the main aspect of stripping your nappies is to get rid of all of the detergent. This means that you will need to keep rinsing your nappies until you see no more bubbles. We advise that you wash your nappies as usual (a cold rinse, followed by a hot wash between 30 and 60 degrees with detergent) followed by additional rinse cycles. This will flush the detergent out of the fibres, thus making your nappies wonderfully absorbent once again. You will need to keep running the rinse cycle until there are no more soapy bubbles appearing, this can take up to 10 rinses. Don’t worry about drying the nappies in between, just keep running the rinse cycle. If you suspect build up in the stay dry linings of the nappy, this can be easily remedied by scrubbing the fibre using a small amount of washing up liquid. The de-greasing agents in this will help to lift off any residue from the fibres. But I am still having problems!